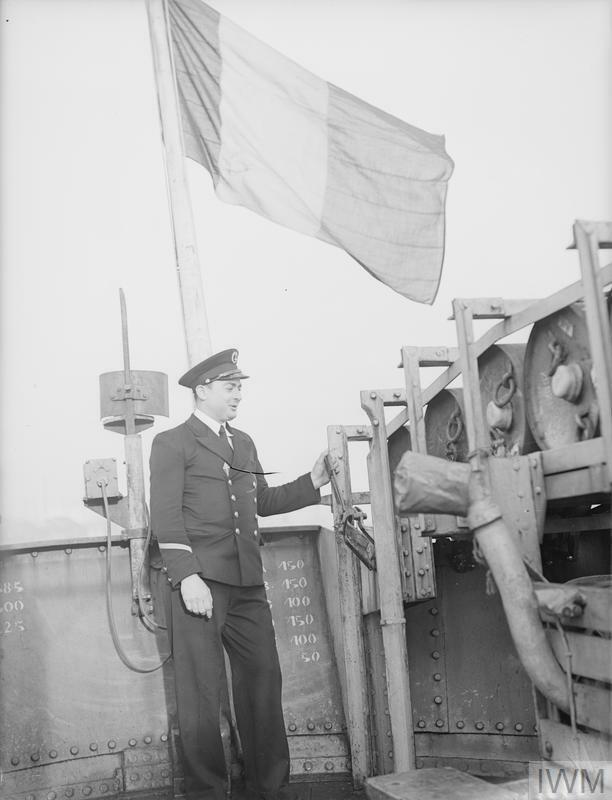 FREE FRENCH CORVETTE ROSELYS RAMS U-BOAT. 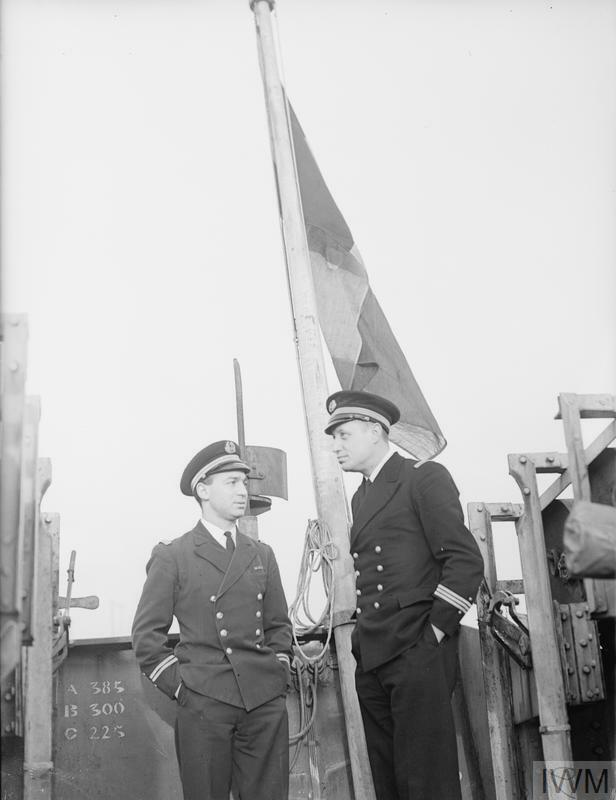 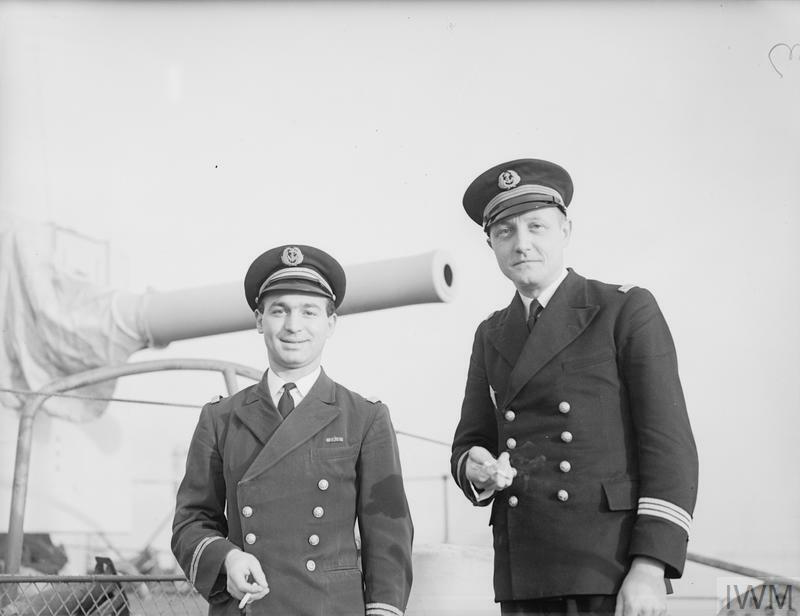 31 JANUARY 1942, ON BOARD THE FREE FRENCH CORVETTE ROSELYS, AT ROSYTH. 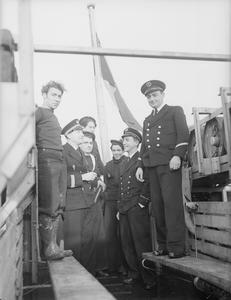 Lieutenant de Vaisseau André Bergeret with some of his officers and men on board the Free French corvette ROSELYS when she arrived at Rosyth.